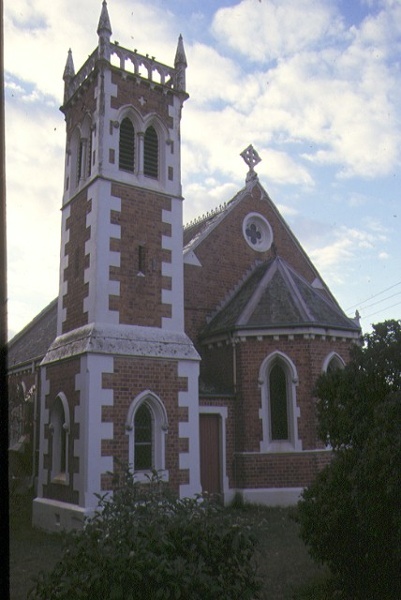 Christ Church, Dingley was built in 1873 on land owned by two wealthy early settlers of the Dingley area, brother and sister Thomas and Mary Attenborough. The provision of an Anglican church was the vision of Mary Attenborough, and funded by an Attenborough endowment. The township of Dingley was itself named after the home town of the Attenboroughs in England. 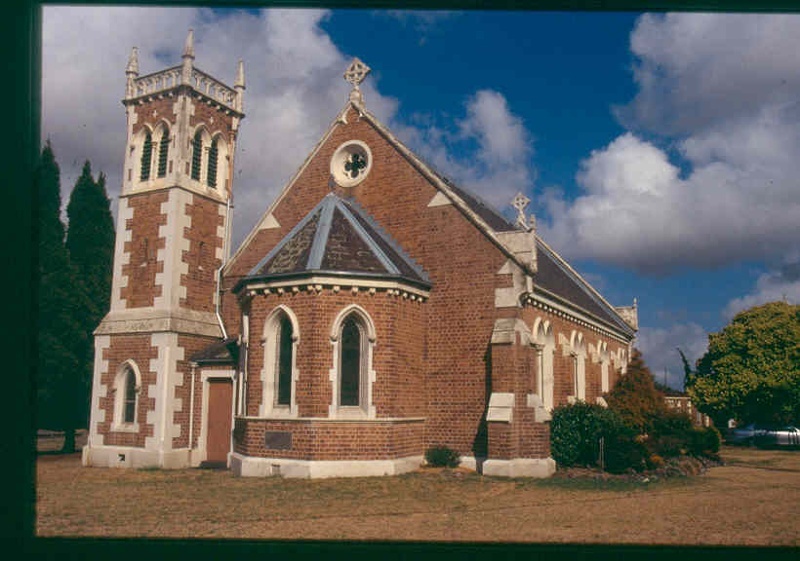 The church was dedicated on 21 September 1873 by the Bishop of Melbourne, Bishop Perry. The architect was Charles Webb. The church is Early English Gothic in style and small in scale, more in the manner of a private chapel than a parish church. It is a simple four bay rectangle in plan, with a small porch, projecting apsidal chancel and detailed three stage tower. The tower is diminutive in size and out of scale to the nave, barely rising above the ridge line, yet is compositionally effective. Masonry construction is of tuck-pointed brickwork, mottled oatmeal in colour. Stucco mouldings include quoins, an unusual and distinctive rose window, eaves brackets and window details. Windows are lancets, paired in the nave. 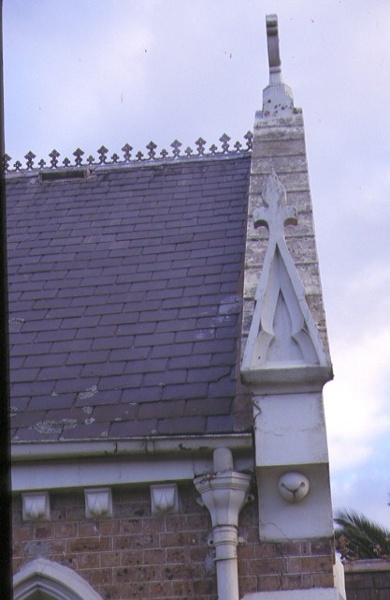 The roof is slated, with iron decoration to the ridge. The church has a substantial collection of stained glass, much of it dedicated to members of the Attenborough family. The glass is by a number of notable practitioners including Ferguson & Urie, Brooks Robinson, William Montgomery and Rogers & Hughes. 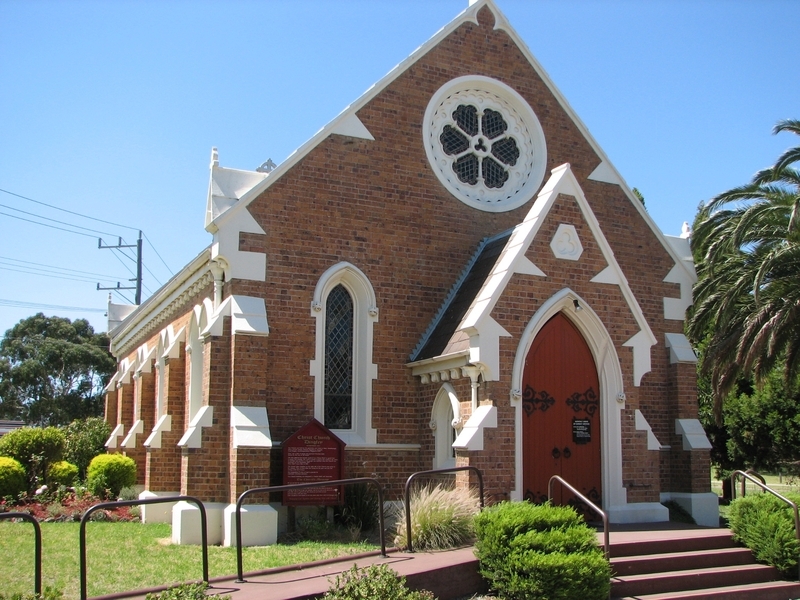 The church hall was built in 1889, and is in a very similar style to the church although the architect is unknown. The site is now a complex of modern and old buildings, but still in a village-like setting. There have been only minor alterations to the church since it was built. 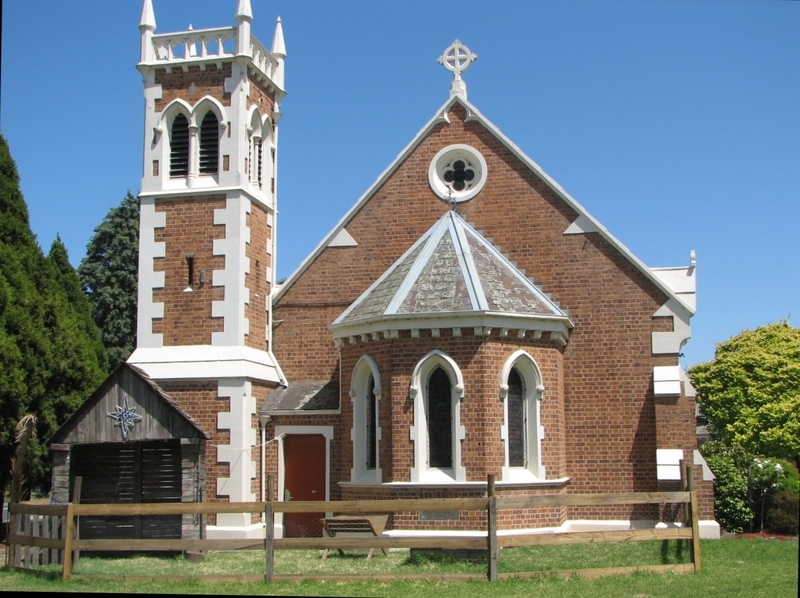 Christ Church, Dingley is of architectural and historical significance to the State of Victoria. Christ Church, Dingley is of architectural significance for its distinctive and expressive composition, notably in the unusual location of the detached tower beside the chancel apse. The trusses and stained glass memorial windows are major elements of the restrained interior. 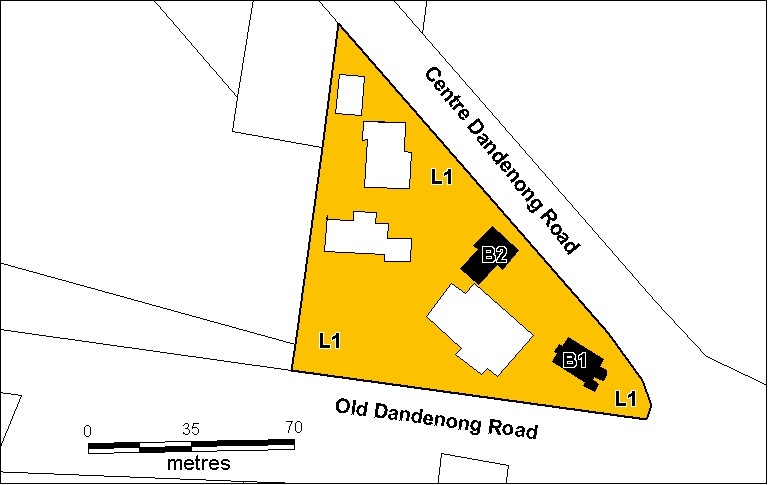 It is significant as a picturesque landmark at the junction of Old Dandenong Road and Centre Dandenong Road. 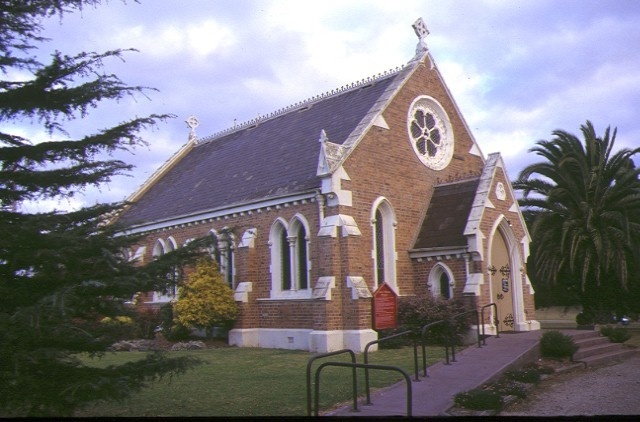 The church is one of the most picturesque churches in suburban Melbourne, and one of Webb's most successful ecclesiastical works. 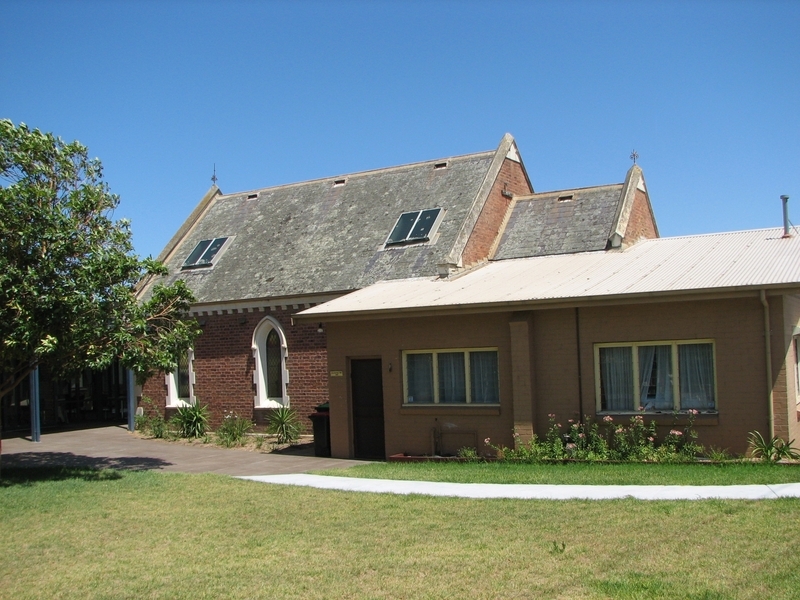 The old church hall is complementary in style to the church and is the only other nineteenth century element on the site. The church and hall are historically significant as an example of personal endowment by a family. 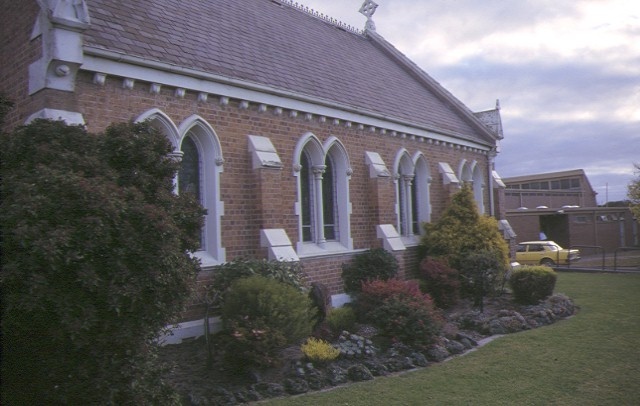 Christ Church, 387Ð405 Dandenong Road & Corner Centre Dandenong Road, Dingley Village, Kingston City Council. 1. All the buildings and structures marked as follows on diagram 225 held by the Executive Director. 2. All of the land shown L1 on Diagram H225 held by the Executive Director. The replanting of plant species to conserve the landscape character. Management of trees in accordance with Australian Standard; Pruning of amenity trees AS 4373. Removal of plants listed as State Prohibited and Regionally Controlled Weeds in the Catchment and Land Protection Act 1994. Repairs, conservation and maintenance to hard landscape elements, steps, asphalt paths and roadways, edging, fences and gates. Maintenance and repairs which replace like with like. Interior of former church hall. The purpose of the permit exemptions is to allow works that do not impact on the integrity and significance of the place without the need to apply for a permit. The site includes two significant nineteenth century buildings, the church and hall. The church is highly intact and in good physical condition following remedial damp works ongoing maintenance. No permit exemptions apply to this building. The former Church Hall had unsympathetic additions to the north end in 1951-2. The interior of less significant than the interior of the church. Some permit exemptions apply.